There are currently 31,129 users on this website. the image I want to show here is a void run along the queens chin. I am at 20 x MAG. the void the smooth metal is a different colour from. 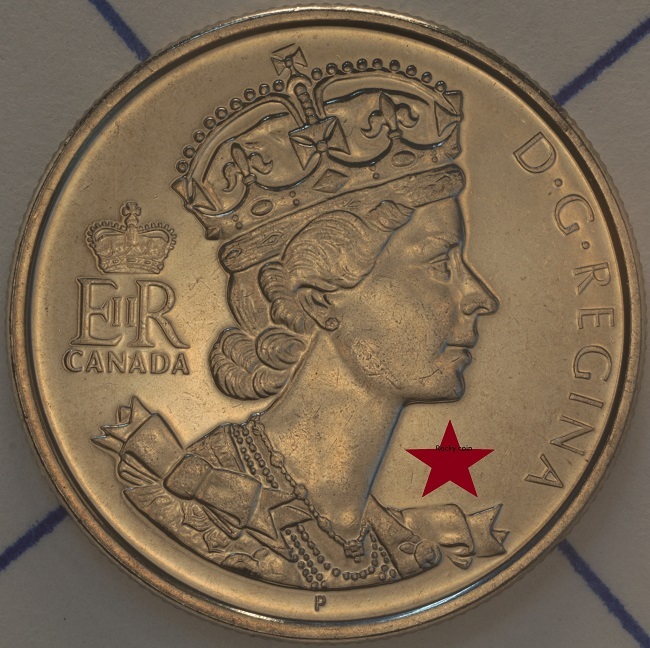 the top surface on the queens face plus the bottom surface of the coin. they are both nickle but that smooth metal surface is yellowish. I want to try to see inside that void. I would need a 50 X microscope objective. also I have been reading about die patches. I believe that to the left side of this images is one patch. right there on the edge of that very smooth metal. any thought greatly appreciated. 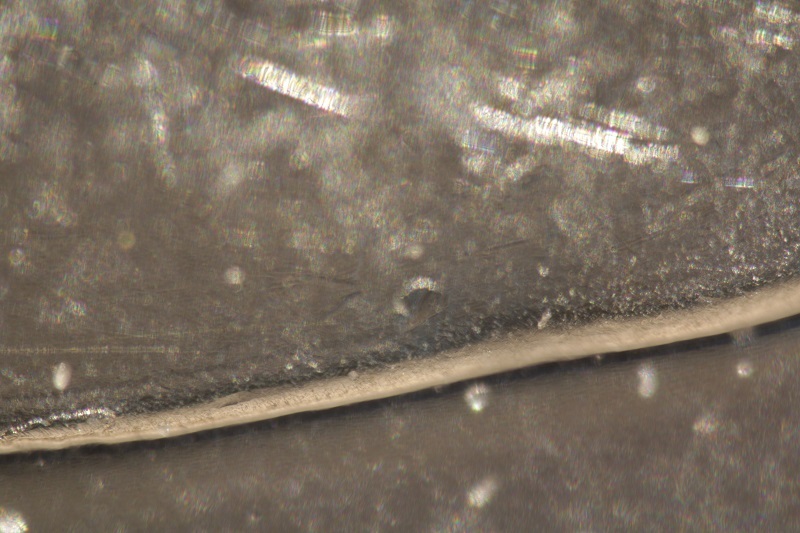 Anything,either error or variety, that requires more than 4X magnification to see isn't worth collecting. I really don't understand what you are trying to explain or to get at. I agree with DBM .... any metallic, stamped product, manufactured by a machine, is going to have minor discrepancies that are well within allowed tolerance. If it takes 20X to partially see it and 40X to get a better look, then it's certainly not an error. as always, we need full pics of both sides of the coin for perspective. okiecoiner I am not saying this is and error. what I am saying is, I have only seen this type of condition before on copper coins. 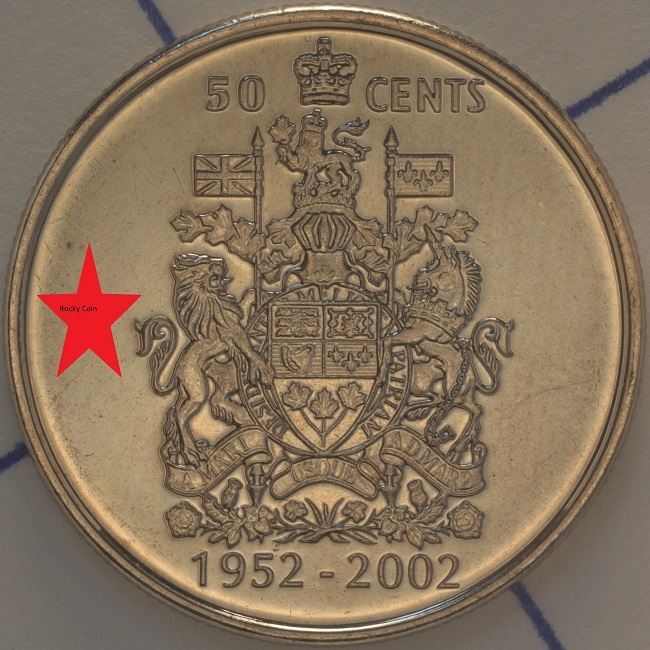 I have never this on nickle or a plated coin. why I would like to see in that void. I have seen some thing on a coin. that I need another coin to confirm. it might be away to prove exactly. what Mechanical Doubling looks like. because I have seen it. I want a second coin to prove it. okiecoiner I was just hoping you might be able to explain what might cause this.